UPDATE: Authorities say a nearby home caught fire in the 1100 block of Mountain Road South after the utility pole brought wires down. The occupant heard the impact, smelled smoke, and heard their smoke detector. The occupant and her 5-year-old daughter exited the home safely. 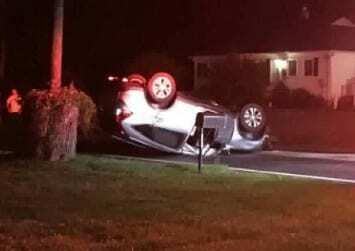 A portion of Philadelphia Road remains closed at this hour due to an overnight crash in Joppa. The crash occurred at about 2:15 a.m. on Sunday in the 1600 block of Philadelphia Road. 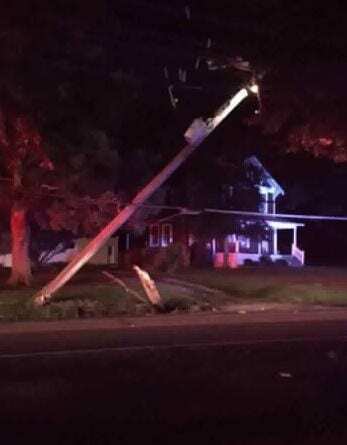 Officials say a vehicle struck a utility pole, bringing it down and causing a power outage, then the vehicle overturned. Philadelphia Road is shut down between Clayton Avenue and Raspe Lane.